Inspire your fashion followers with your creative styles by flaunting this Karolina Necklace Set. It features stranded chain fashioned with mixed beads in multicolour, green and golden hues. This delicate necklace is accompanied by matching danglers. 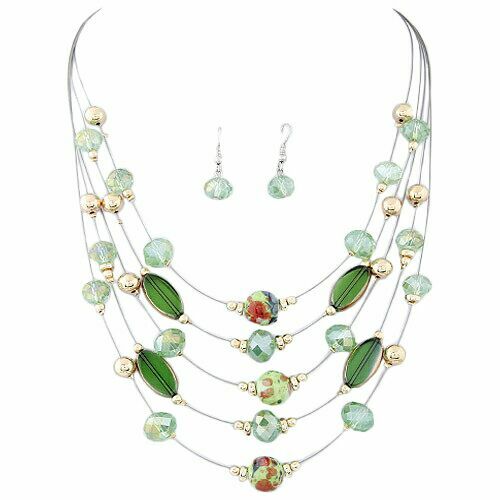 Buy this high quality necklace set from our online shop today.